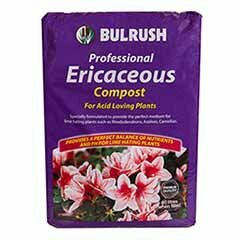 Large, Gardenia-like bloom will fill your garden with a sweet fragrance quite unlike any other. 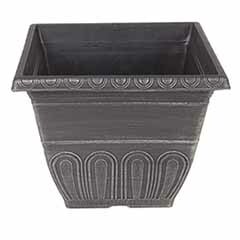 Just imagine sitting on your patio this summer surrounded by the intoxicatingly sweet fragrance from your very own standard Jasmine plant - just heavenly! This gorgeous, standard Jasmine will reward you with the most highly scented, perfect flowers. The perfume from these plants is absolutely breathtaking, filling the air with sweet fragrance. The perfectly formed, rose-like 'waxy' white flowers are produced above rich-green, glossy leaves to form a beautifully rounded ball of foliage. 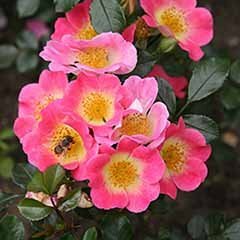 Holder of a prestigious RHS Award of Garden Merit, you can be sure that this is a plant that has been rigorously trialled, and you can be guaranteed that it will perform. 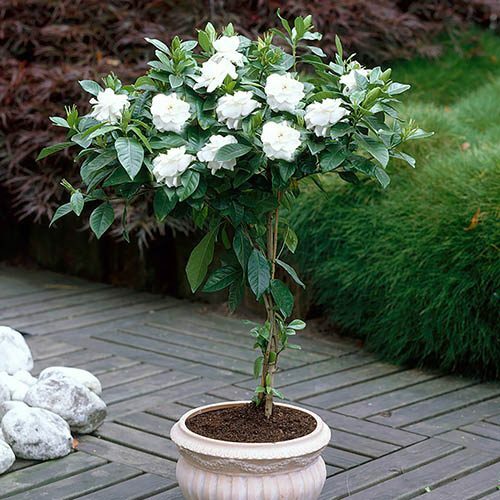 Delivered as a standard plant, 70cm tall (including pot) Gardenia jasminoides makes a delightful houseplant or summer patio plant. This gorgeous, standard Jasmine will reward you with the most highly scented, perfect flowers. 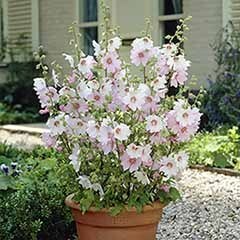 The perfume from these plants is absolutely breathtaking, filling the air with sweet fragrance.The perfectly formed, rose-like 'waxy' white flowers are produced above rich-green, glossy leaves to form a beautifully rounded ball of foliage. 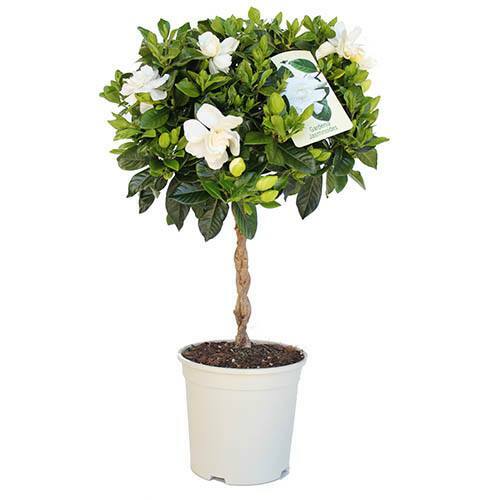 A large, evergreen shrub with deep glossy green leaves and very fragrant, white camelia-like flowers, the common Gardenia is certainly an eye-catching plant, worthy of a place in any garden. 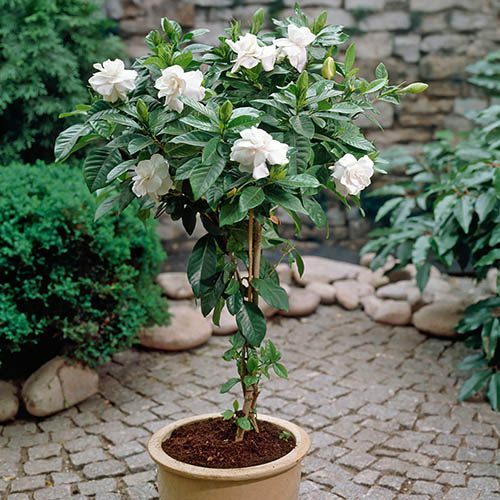 Thought to be too tender for UK gardens, the Cape Jasmine can actually be grown outside in summer in a sheltered frost-free area, however it's best treated as a summer patio plant and brought under cover through the winter. 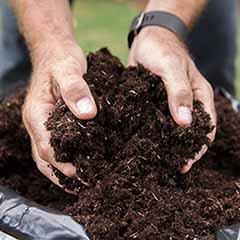 Over spring and summer keep the compost moist, but not saturated, using soft water, or cooled kettle water, or room temperature rain water. 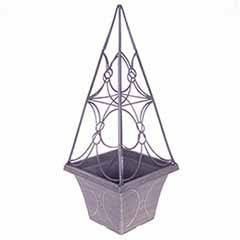 Over winter, when the plants are not growing, reduce the watering, without allowing the compost to dry out between watering. 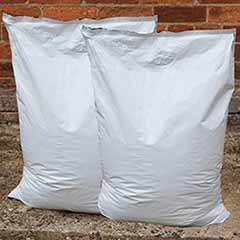 Feed with a high nitrogen liquid feed every week in spring and summer, then in the winter use a general-purpose feed every 5-6 weeks. 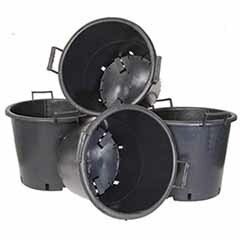 Your plant will need winter protection - growing them in containers allows the plants to be moved to more suitable seasonal sites when cold temperatures threaten. In spring, lightly prune stems to maintain their shape.